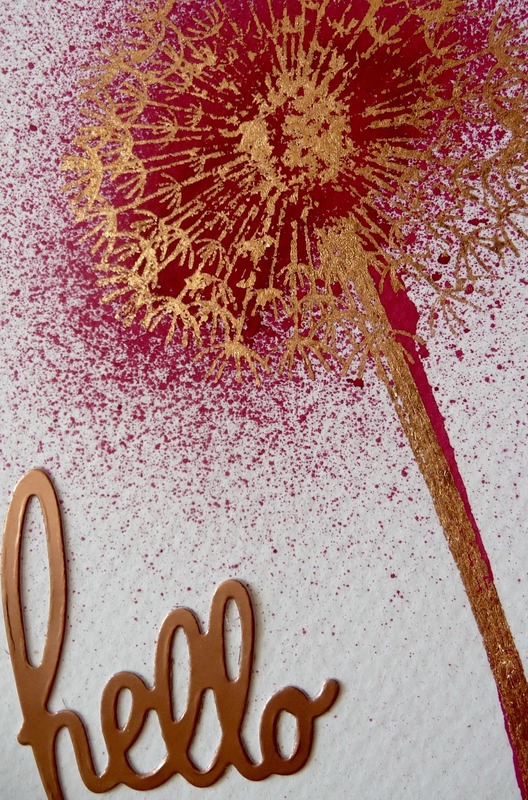 This one was a bit of a happy accident, I was playing with some spritzing inks on watercolour card. The bottle of ink hadn't been used for a while and the nozzle was clogged so when I sprayed it I produced a big blob of ink on the card, I put it to one side but because it was such a blob it ran down and made a 'stem'. 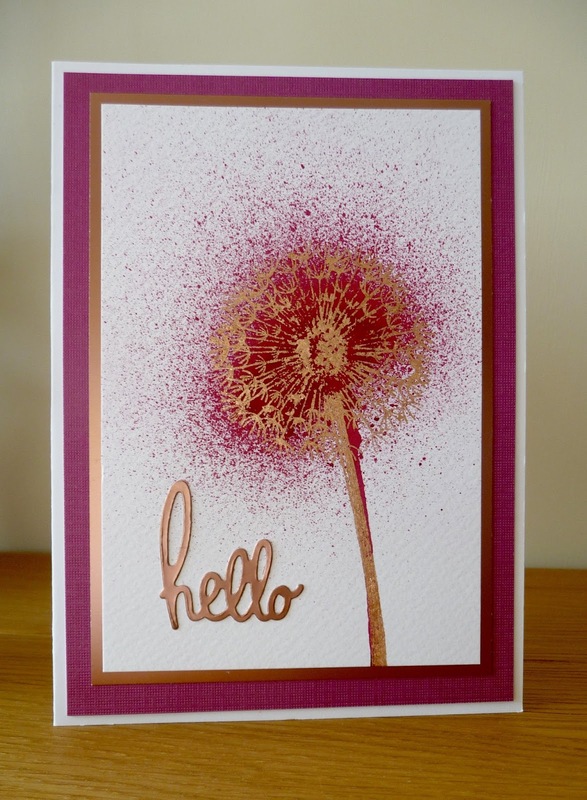 From this I thought it looked like a dandelion and so decided I would stamp an actual dandelion over the top. I used Personal Impressions stamps and instead of using ink and embossing powder I tried using glue direct to the stamp and then copper gilding flakes. The sentiment die is by Cuttlebug. 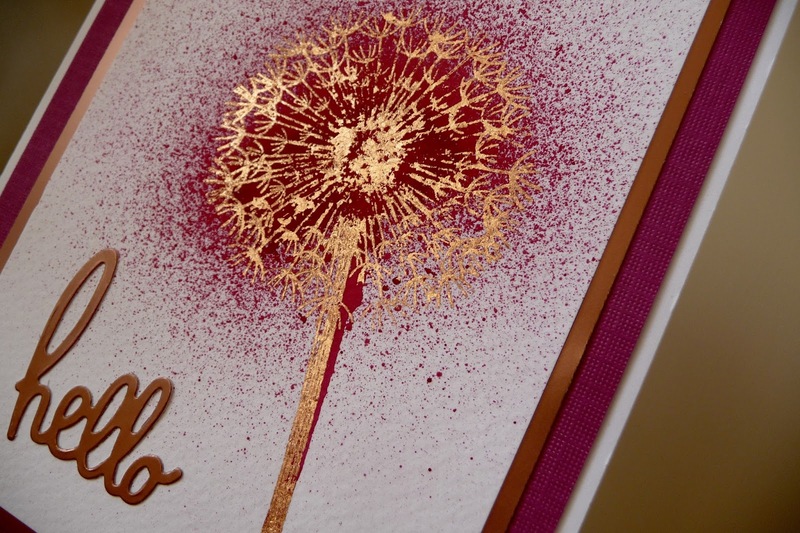 I did try recreating the card but with green ink and this time with embossing powder but I prefer the look of the gilding flakes as the shine is much better.